Fan favorite writer Ed Brisson (SHELTERED) and artist Brian Level (LAZARUS, Quantum & Woody) team up for an all-new superhero series about an average man who becomes an unwilling host to tremendous power in THE MANTLE. The series launches from Image Comics on May 13. THE MANTLE follows Robbie—just your average, run-of-the-mill guy—as he drunkenly stumbles out of a punk show one evening. On his way home he’s hit with lightning and wakes to find that he’s been chosen as the new host for The Mantle, a power set of unimaginable scope. Despite his lack of interest, he’s forced into action. The Plague, a being who has spent 50 years killing every previous host of The Mantle, is already coming for him. "Brian and I have been talking about working on a project together for a few years now, so we're both thrilled to finally have the opportunity to do so," said Brisson. 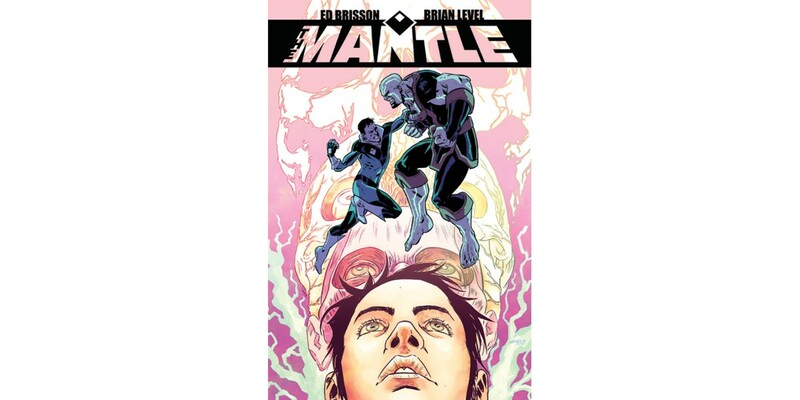 "The Mantle is, in my opinion, a really fun direction for a superhero book where not everything is black and white and where, by the end of the first issue, I think that readers are going to realize that what they think is happening... is not what's really happening." THE MANTLE #1 hits stores on May 13. Cover A (Level) can be pre-ordered with Diamond Code MAR150475. Cover B (Phil Hester) can be pre-ordered with Diamond Code MAR150476.